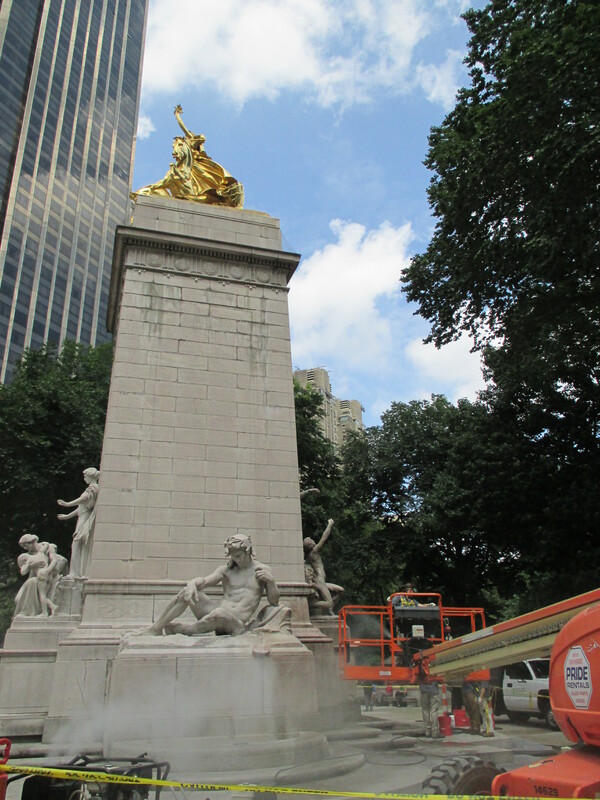 I went to visit the summer interns at the Central Park Conservancy today to observe Beata, one of our conservation students, hard at work on the Maine Monument in Columbus Circle. 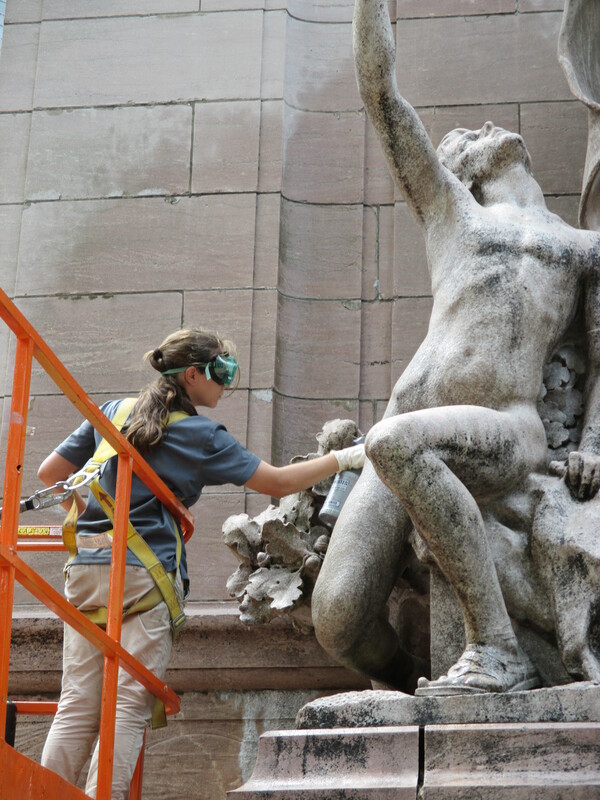 This year the Central Park Conservancy hired five summer interns to help with the ongoing maintenance of over 50 monuments located throughout the highly popular and traveled locale. The interns come from all over the country and this year, the world, including one intern from Australia! This highly coveted summer post allows students to learns hands on skills that cannot always be taught in the classroom, adding valuable knowledge and skills to their ongoing education. Charged with several different types of maintenance, interns learn how to use various techniques and treatments of both stone and bronze. Beata has been conducting condition assessments and obtaining new technical skills; including the removal of graffiti!